Free From Food launches the theme tours: more attention for your (new) product or innovation! 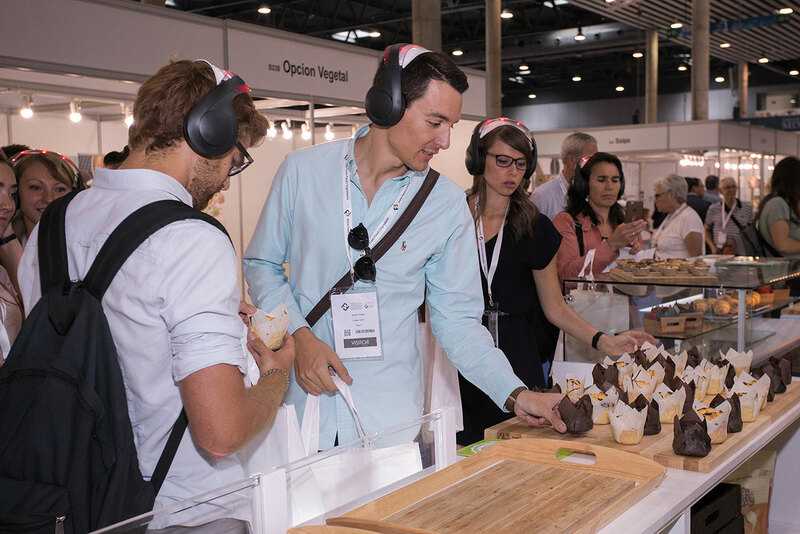 Visitors are looking for innovations and they can explore the show by booking a guided tour highlighting the most innovative free from and functional products. You can be the exhibitor that is part of this innovation tour! What is a theme tour and what’s in it for you? Are you looking for leads and conversion? Do you want to stand out and be part of a new and attractive phenomenon? Do you want to have an exclusive group of visitors at your stand? We have the privilege to invite you to participate in the theme tours! Wireless SIPP technology will be used together with state-of-the art headsets for an amazing sound experience. With the LED lights the group of visitors will have attention, great to welcome them at your stand! Only 6 companies can register for each tour and you will have a guarantee of 2 times a group visit of 10-15 visitors. The tour guide will come to your stand with the group and hand over the Audio Reality Headset with microphone. You give a well prepare pitch/presentation of 5 minutes to this group. 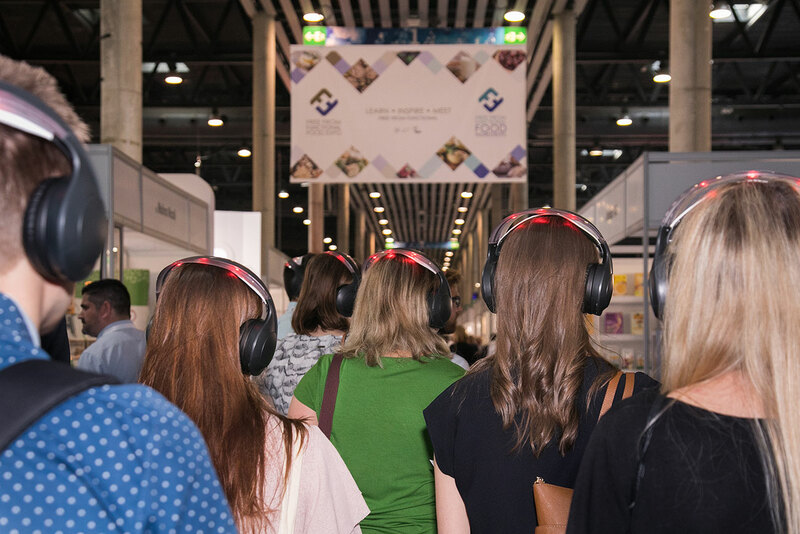 The group is wearing the state-of-the art headsets and experience your presentation as a personal talk, the noise at the exhibition disappears wearing the SIPP headset. A tip: offer each of the group members a sample or other nice gadget in order to remember your product. You will prepare the talk in English. The organisers will contact you and guide you the weeks before and during the exhibition! 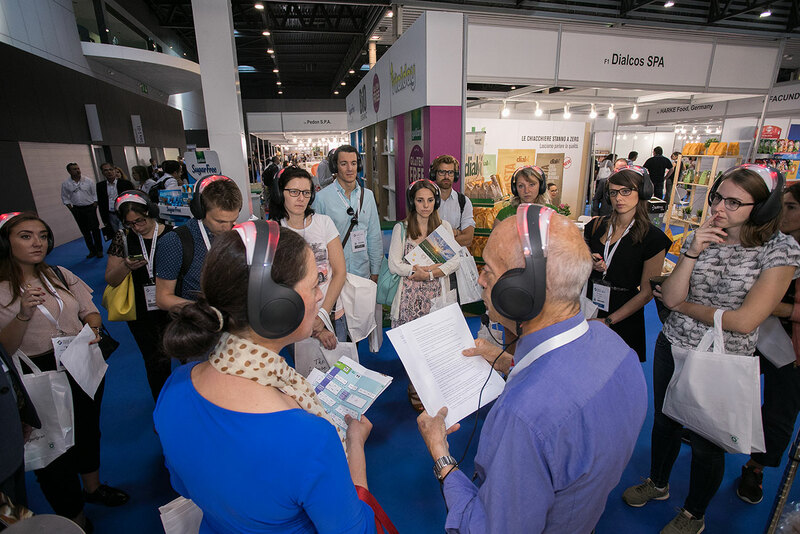 During the second exhibition a second group of visitors will be guided to your stand at the agreed time. So one more time you have a group with 10 -15 interested visitors at your stand! We will provide you of course with the details of the visitors. They will wear a high tech audio set and you will get one in order to have a good contact and you don’t need a podium, microphone and speakers at your stand. The tours will be mentioned on the website and a special flyer will be published. Also at the entrance there will be attention with a desk and banner. The trade visitors can register online or even onsite for the tours. The tours will be planning following this schedule: 10.30, 12.00, 14.00 and 16.00. The organisers will inform you on the exact timing of your preferred tour. Each tour will be guided by a specialist! You select the theme of your choice! The total length of the tour with some instructions, the walk, visiting the 6 stands with each a pitch of 5 minutes and return to the starting point is 50 minutes. The tours will start at the entrance area. Attention at your stand, as the headsets with LED light call attention! The list with contact details of these 20/30 leads send to you by e-mail. Interested to participate in a tour? -> please reply to chris@ebcexpo.com to order, first come, first serve principle applies, maximum of 6 spots available per tour.